There is no impact to your customers or your existing campaigns. With this update, some campaigns may not be setup with an ideal configuration, but don't worry! We have automatically generated Sender Profiles based on existing campaigns that you've created. These Sender Profiles don't get all of the benefits of newly created Sender Profiles, but ensure that all your messages are delivered exactly as they were before. The message will be equally distributed across the IPs. In this case, 50% on one and 50% on the other. 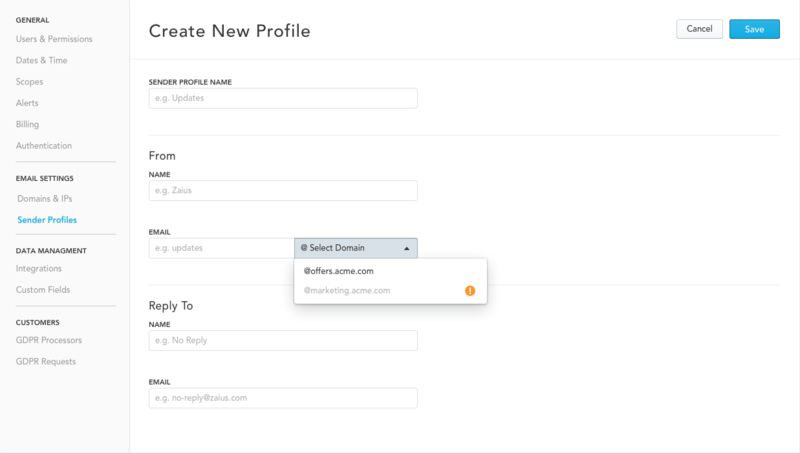 When creating a new Sender Profile and selecting a specific "From address", the only IPs used to send will be the ones associated with that address. For example, if you select offers.acme.com, 2.2.2.2 will be utilized when sending. To learn more about adding domains and/or creating new Sender Profiles, head over to our Email Setup documentation.